This post brought to you by Goldfish Swim School. 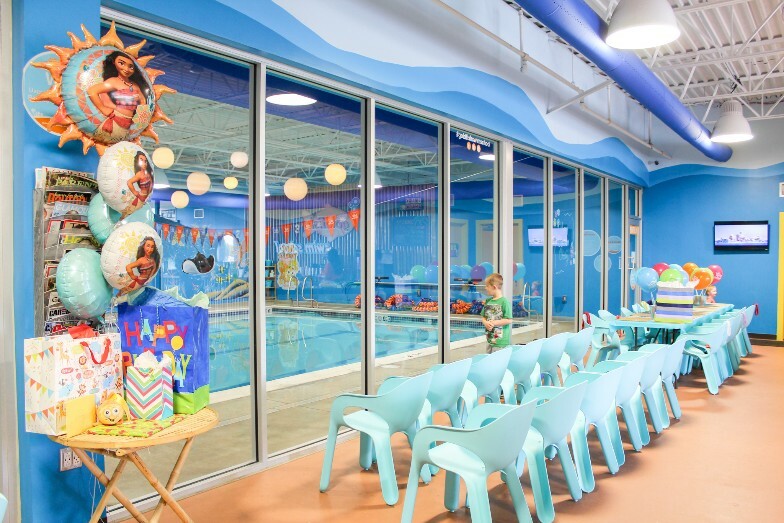 It's been over six months since Charlie's "graduation" from his Mini 2-level swimming class with Mommy to his independent, big boy "Junior 1" level class. His hair was about 6 inches longer, he freaked out if the slightest bit of water got in his face, and he had the attention span of a...goldfish (pun intended). 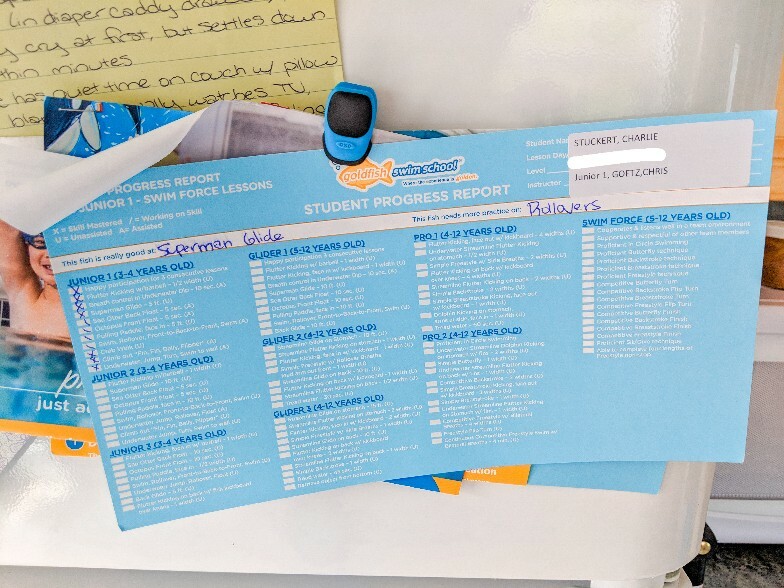 Although I can't say his attention span has drastically changed by any means, there is definite progress to be shown from these last 6 months of swimming independently (with a teacher, but no parent in the water). 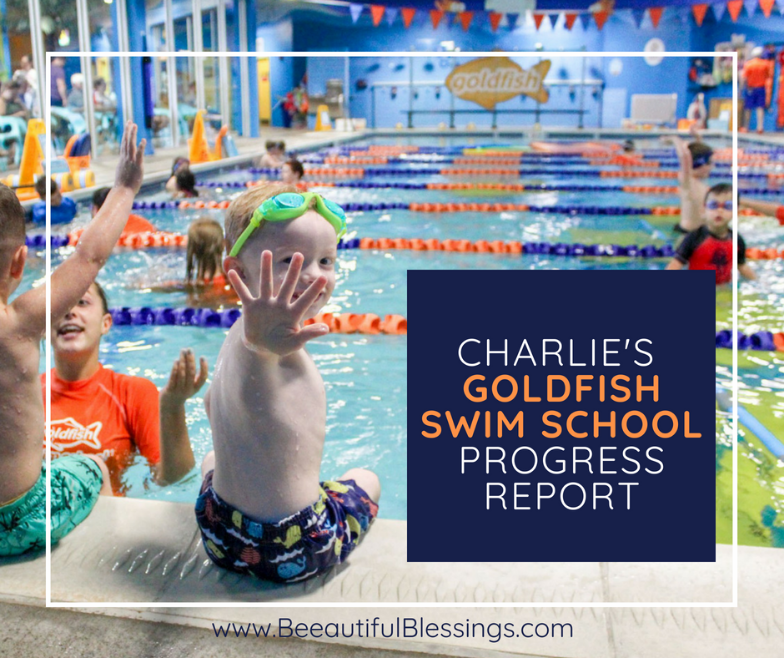 Last week was Progress Report Week at Goldfish Swim School-Dayton, so I figured it was the perfect opportunity to share Charlie's progress and what he's learned! 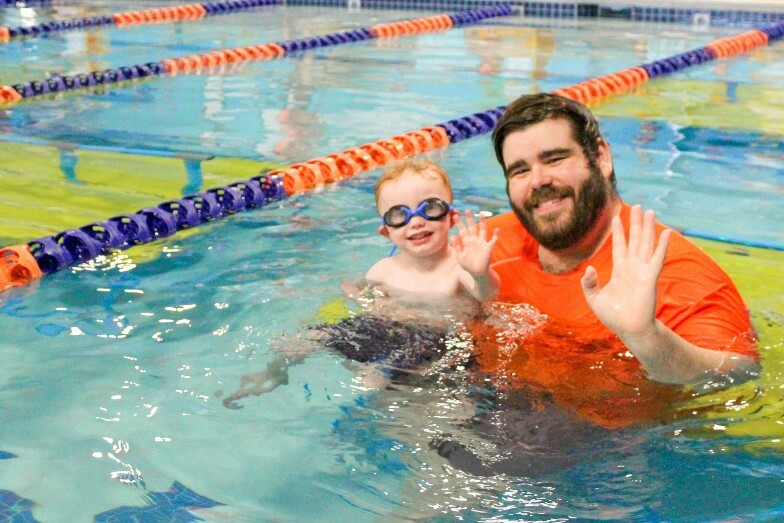 Swimming skills aside, the thing I've most enjoyed watching is the bond between Charlie and his teacher, Mr. Chris (or as he refers to him as, Mr. Broccoli). Although every teacher Charlie's had has been terrific, I can tell the difference in Charlie's level of trust with Mr. Chris. He's really bonded with him, trusts him, and that level of trust is what makes him perform a little bit better each week. Mr. Chris has complimented Charlie on his positive attitude and enthusiasm and as his Mama, that's just about the best compliment he could receive. 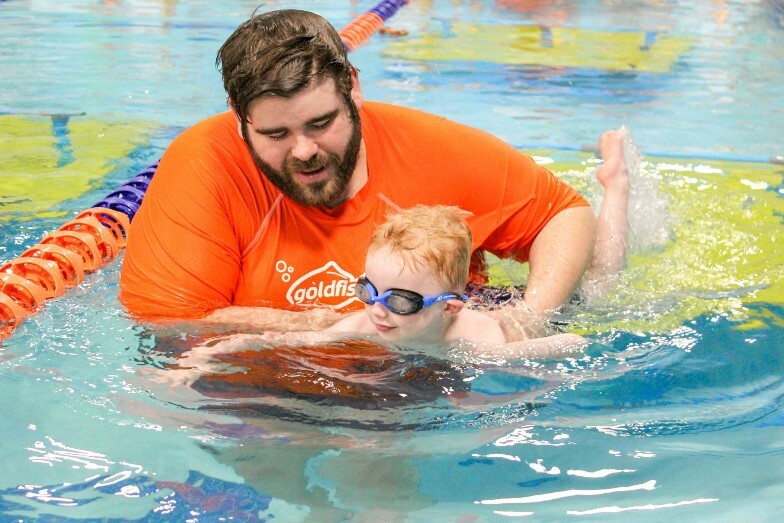 Although he's still hesitant and not fully confident in the water on his own, I can honestly say that his independence in the water has grown by leaps and bounds. When he started at the Junior 1 level, he still hadn't mastered his "fishy face" and was really uncomfortable going underwater. Six months later, he's doing "octopus floats", blowing bubbles, and holding his breath underwater like a champ! 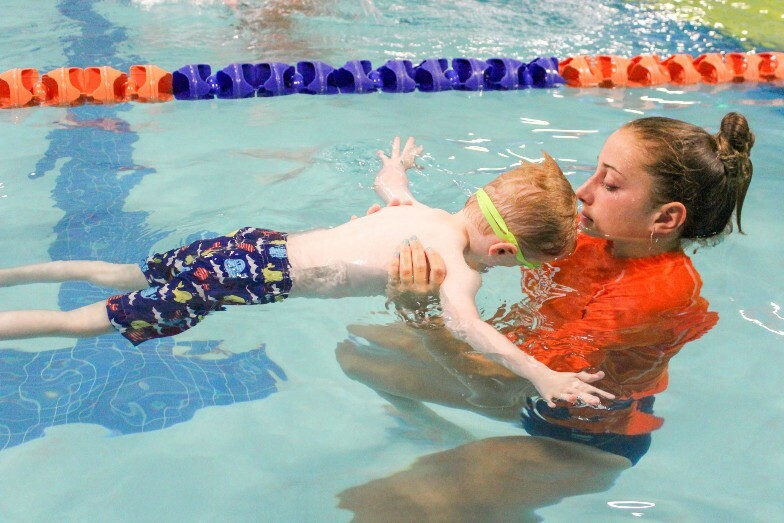 He has yet to float on his back unassisted, but he went from only floating if his head was resting on his teacher, to now doing his "sea otter floats" with his teacher merely providing reassurance and support in case he gets scared. As for his actual swimming? He still looks more like he's thrashing in the water than swimming. But he's figured out how to put his "pulls" and "kicks" to practical use rather than just doing them while he sits along the pool wall. His strongest skill, however, is his ability to "crab walk" along the pool wall and climb out all by himself. He's mastered the "Hand hand, elbow elbow, tummy tummy, knee knee" method and can easily climb out. He's not a strong swimmer yet, but I feel so reassured knowing that if he ever fell into a pool or body of water, he could get himself out. 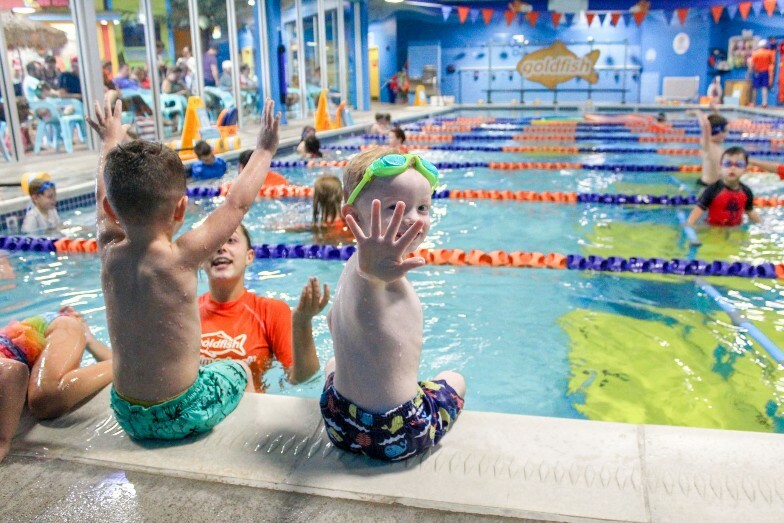 Since January, he's grown to love donning his goggles in the pool and he gets genuinely excited about his lessons each week (which was not always the case). He had plenty of freak-outs in the beginning where his teachers spent half the lesson just trying to get him calm, tear-free and comfortable in the water. I am so proud of my little fish and the progress he's made. 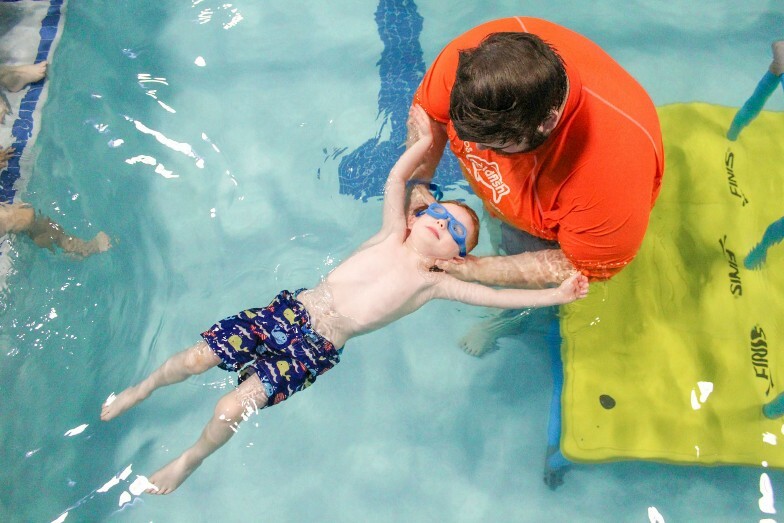 I love watching him strengthen his swimming skills and become just a little more independent each week.